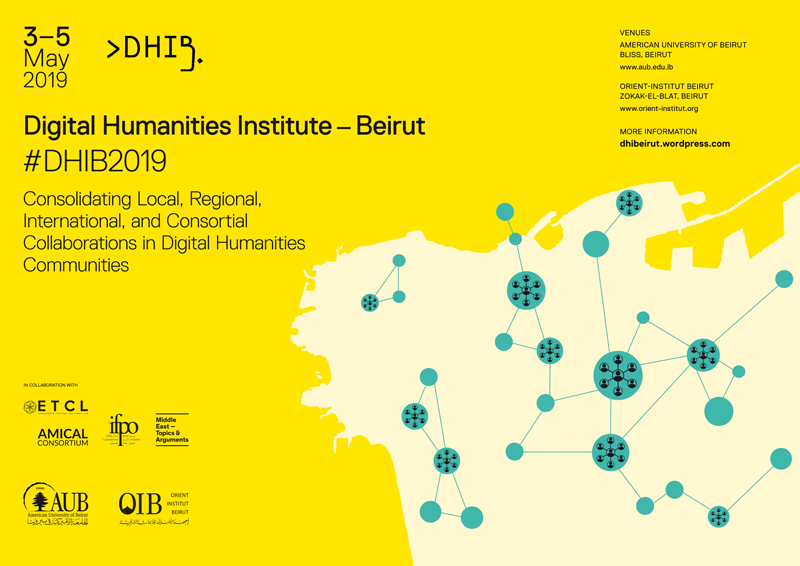 Digital Humanities Institute - Beirut 2019 will revolve around "Consolidating Local, Regional, International, and Consortial Collaborations in Digital Humanities Communities." After DHI-B 2015 and 2017, this third iteration of the Digital Humanities Institute – Beirut (DHI-B) will build upon progress made in both research and community building in Lebanon, extending outward to Egypt, the UAE, Canada, the USA, and members of the AMICAL consortium. The event aims to consolidate on all previous efforts to create a culture of collaboration and openness in research and pedagogy in the Digital Humanities, as well as to encourage growth of communities of practice, by providing Digital Humanities training with a regional and international focus. It is founded on the principles of co-learning and co-teaching of a community of faculty and students, librarians, and instructional design staff.